Purchasing a vehicle, can often be looked on as a difficult, tiresome experience. Here at Watson Chevrolet we want you to put all bad experiences aside and let us roll out the red carpet for you! 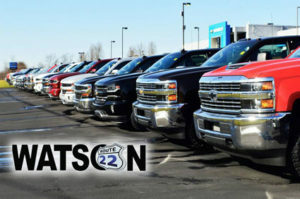 Why Purchase from Watson Chevrolet? Fast purchase experience- most of your car buying process can be completed online, so you spend less than an hour at the dealership! Complimentary Oil Changes, Tire Rotations. Impeccable Reputation- 5-star reviews on Social Media. Customer Loyalty- repeat and referral customers are the backbone of our success! Friends and Family referral program—refer someone to us and they purchase a vehicle receive $50 from us! 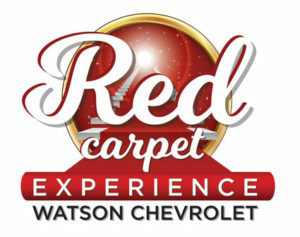 Lastly, THE RED CARPET EXPERIENCE, only at Watson Chevrolet, you have to experience it to believe it! 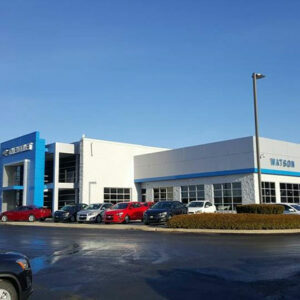 Watson Chevrolet has been in business since 1923. Victor Olive, current owner took over the dealership in February 2016. With two locations and over 60 employees, the dealership has been thriving and prides itself on their outstanding customer service, and always going above and beyond for each and every customer! Watson Chevrolet, along with Victor Olive are involved in multiple philanthropic organizations including the Central Blood Bank, and Westmoreland County Humane Society. Giving back to the community is a priority! Business Development Director, Kelly Fischetti, attends GPBC as representation for Watson Chevrolet. Outside of the dealership she enjoys spending time with her 6-year-old son, Anthony, as well as fitness and giving back to her community, and everyone in need.